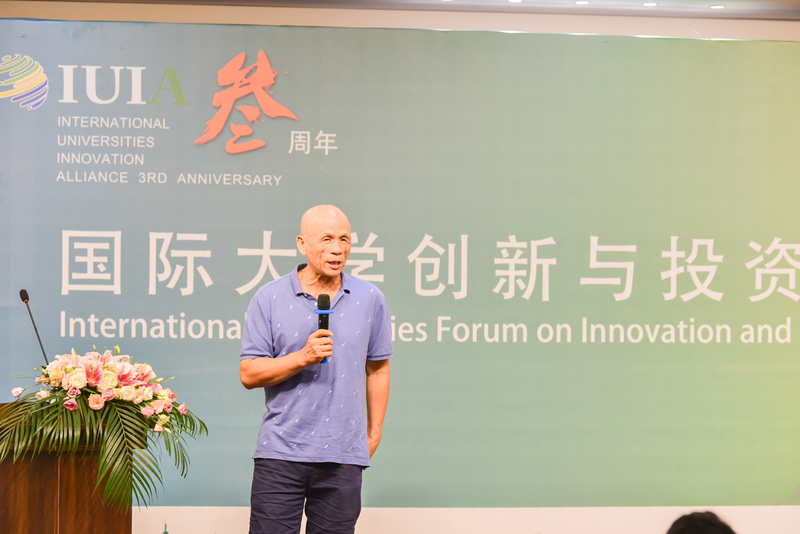 On August 18, 2018, on the third anniversary of the International University Innovation Alliance (IUIA), senior consultants, shareholders, representatives of overseas partners and other key partners of IUIA gathered in the beautiful coastal city of Qingdao to participate in International Universities Innovation Alliance (IUIA) 3rd Anniversary and International Universities Forum on Innovation and Investment Cooperation. The merit list of the participants is as follows: Sun Zhaohua, former deputy director of the State Administration of Foreign Experts Affairs, Li Yonggang, Chief Representative of France of Investment Promotion Bureau of the Ministry of Commerce, Zhu Min, Chairman of Cybernaut Investment Group, Wang Duanrui, Chairman of Weidong Group and Executive Director of IUIA, Fan Xianyong, President of Beijing The Place Investment Group, Liu Junnian, Dean of Qingdao Research Institute of Huada, Liu Yanghe, Senior Partner of Cybernaut, Wang Zhengping, Chairman of Shenyang Langqin Group, Yuan Dongpei, Chairman of Guangdong Zhongshan Yinli Group, Guo Feng, Senior Partner of Shanghai DL Capitals, Liu Zhi, Senior Partner of Zhongyu Capitals, Li Yong, Australia Senior Partner of IUIA, Shen Junzheng, Australia Senior Partner of IUIA, Deng Guanyao, Hong Kong Partner of IUIA, Xu Miao, Germany Senior Partner of IUIA, Jin Kai IUIA - partner, Eagle foundation partner,Partner of American Boston angel club, Peng Dinglan, President of Canada's national student federation, Wu Zeqiang, Chairman of the Global Chinese Alumni Association of the University of California at Berkeley, Shendai, Dean of Brest Business School in France, Professor Xiao Shuigen, Assistant Vice President of Georgetown University in USA, Wang Pengwei, Chairman of Zhongguancun Guorun Fund, Li Ruxiong, General Manager of Optical Valley Coffee Ventures, and representatives of institutions and companies such as Vimicro, QuantumCTek, and German Maker Bootcamp. Sun Wansong, Secretary General of the International University Innovation Alliance, presided over related activities. Sun introduced that IUIA has achieved a series of achievements since its inception. 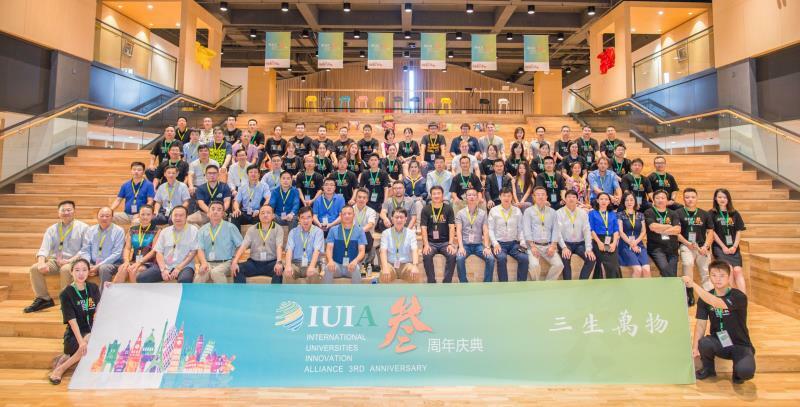 The allocation of overseas innovation resources has been accelerated, the domestic incubation space has been established successively, and with the joint efforts of Qingdao North District Government and IUIA, the blockchain technology industry has been implemented. IUIA leads the trend of The Times with the clear goal, the enduring spirit and the firm pace on the road of innovation and entrepreneurship. 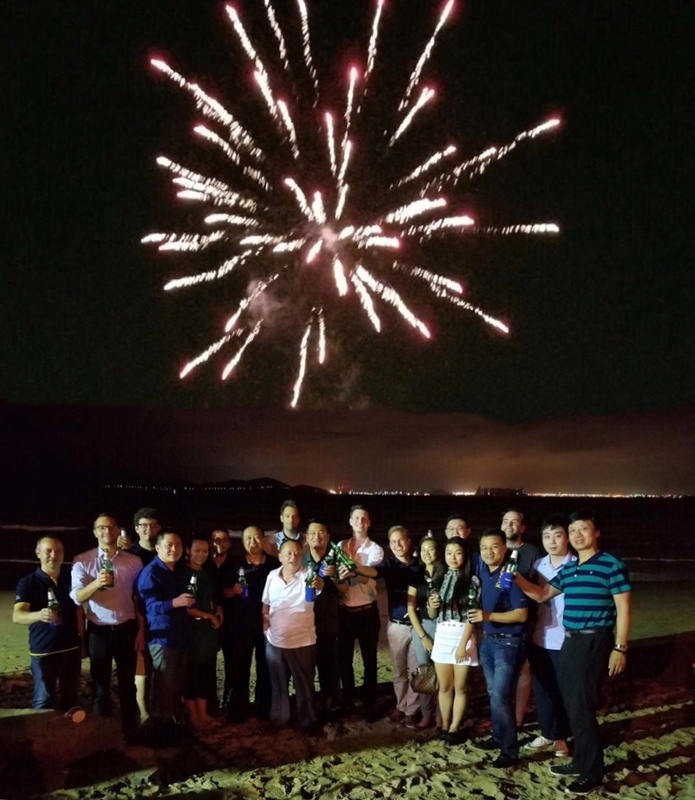 In the third anniversary of IUIA, reviewing the past and looking forward to the future, every progress achieved in the past exploration embodies the hard work of all IUIA entrepreneurial mentors, global consultants, partners and shareholders as well as the tireless efforts of front-line team of IUIA. At present, IUIA has established or co-founded overseas innovation and entrepreneurship institutions in more than ten countries and regions. And also has established cooperative relationships with over 100 famous universities and innovation incubators around the world. 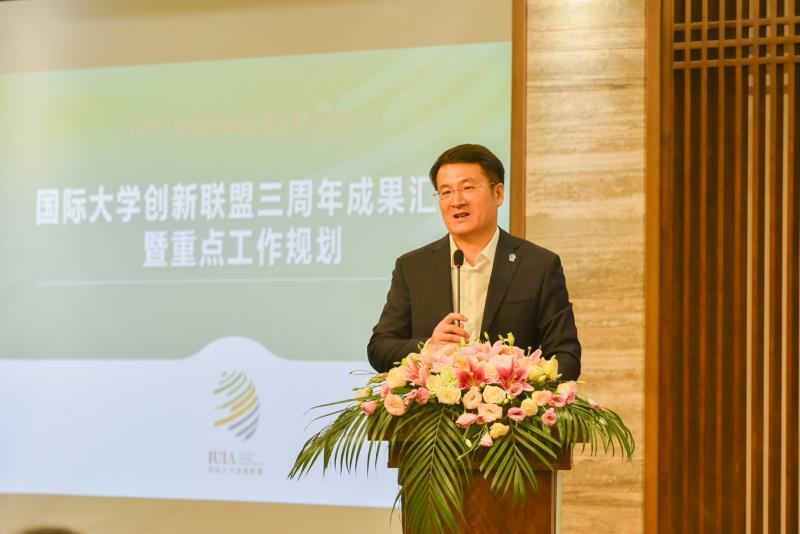 And in cooperation with many leading scientific research institutions, more than 30 incubators have been established at home and abroad, with a total operating space of 150,000㎡+, which has opened up channels for the introduction of innovative entrepreneurial projects and high-end talents. 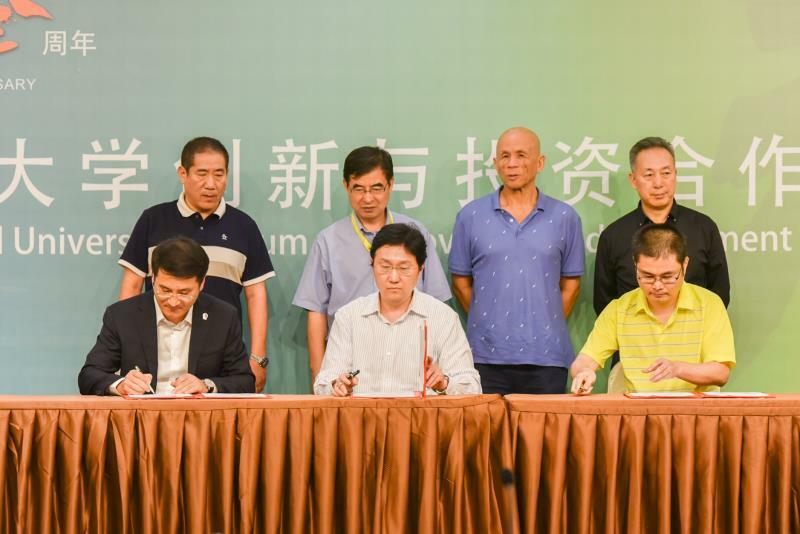 IUIA has signed strategic cooperation agreements with Evergrande Group and Country Garden and launched the cooperation of industrial parks. 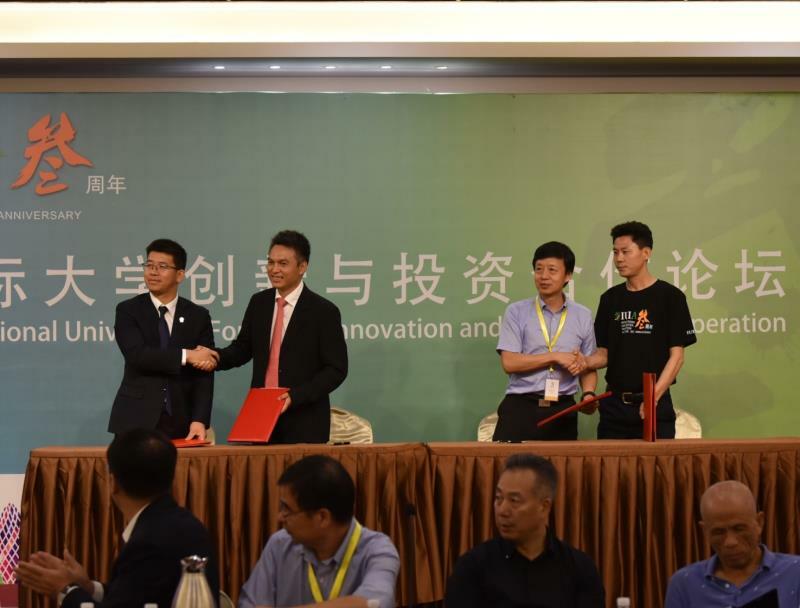 Beyond that, the venture capital funds and industrial funds that IUIA has cooperated with DL Capitals, Zhongyu Capitals, Yuanrun Capitals and Cybernaut Fund are also in the process of landing. During the forum, representatives from various parties made suggestions on the global partner model, work planning, development proposals and future prospects of IUIA. There is a common understanding that we have to grasp the development trend of innovation and entrepreneurship both at home and abroad. In view of the existing prominent problems, we will speed up the establishment of a good environment for innovation and entrepreneurship through new mechanisms and new models, and clarify the “main attack troops”. In line with the new wave of entrepreneurship, which presents new features of technology integration and multi-subjects, we will focus on the problem classification and implement corresponding tactics, expand the talent scale of research personnel and overseas returnees, promote the professionalization and refinement of the maker space, and guide the construction of innovative and entrepreneurial ecology with distinctive characteristics, thereby promoting the development of IUIA on the road of innovation and entrepreneurship. 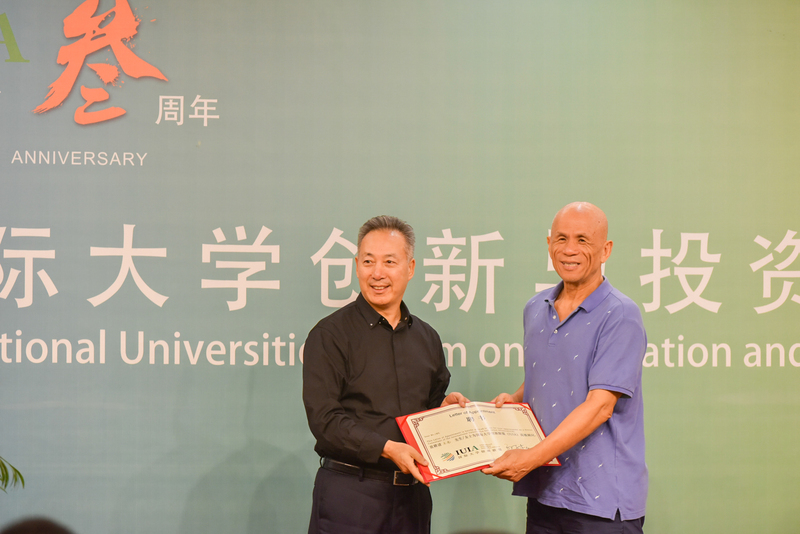 Wang Duanrui, Chairman of Weidong Group and Executive Director of IUIA, presented the International University Innovation Alliance Tutor Certificate to Zhu Min, Chairman of the Cybernaut Investment Group. 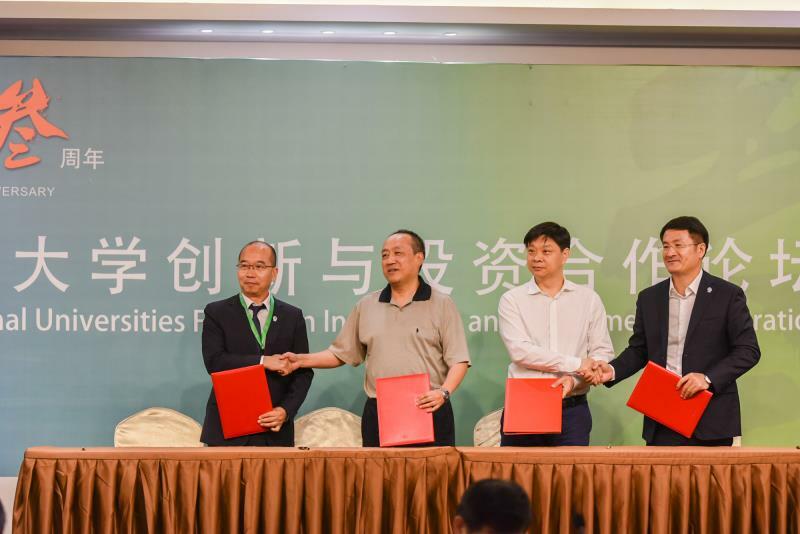 Cybernaut Investment Group, Weidong Group and IUIA signed a tripartite strategic cooperation agreement. 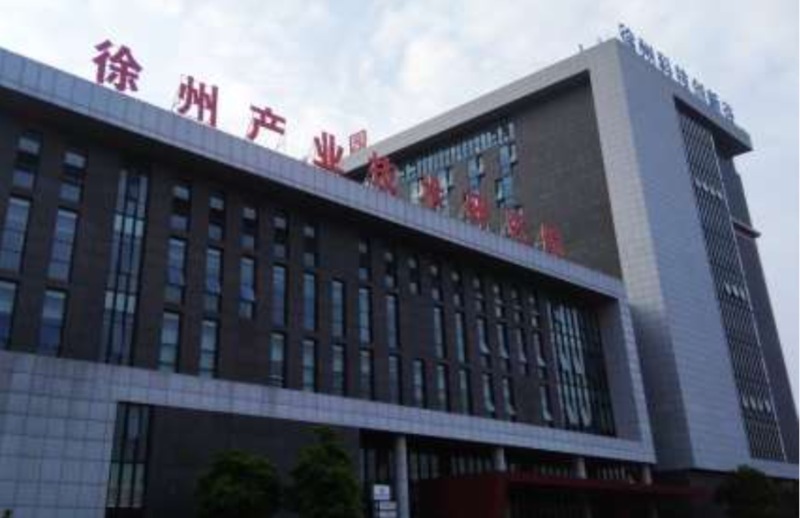 The three parties will give full play to their respective advantages in education funds, education industry, high technology, innovation and entrepreneurship, and promote the development of education funds and education industry projects as soon as possible. It will respond to the national development strategy of “One Belt, One Road”, strengthen exchanges and cooperation with countries along the line in the fields of cloud education, big data and high technology, and provide continuous support and effective promotion for the development of international innovation and entrepreneurship. The heads of each IUIA business segment signed cooperation agreements with overseas associates and important partners. 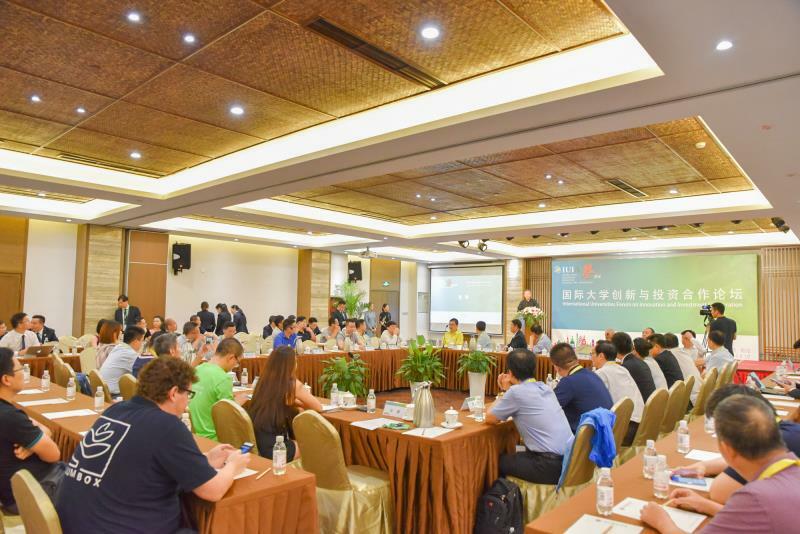 Representative projects such as Guorun Fund, Optics Valley Entrepreneur Coffee, Vimicro, QuantumCTek, Yongan ICT, iFlytek, and Dalian Liancheng CNC Machine are about to enter the stage of landing operation. 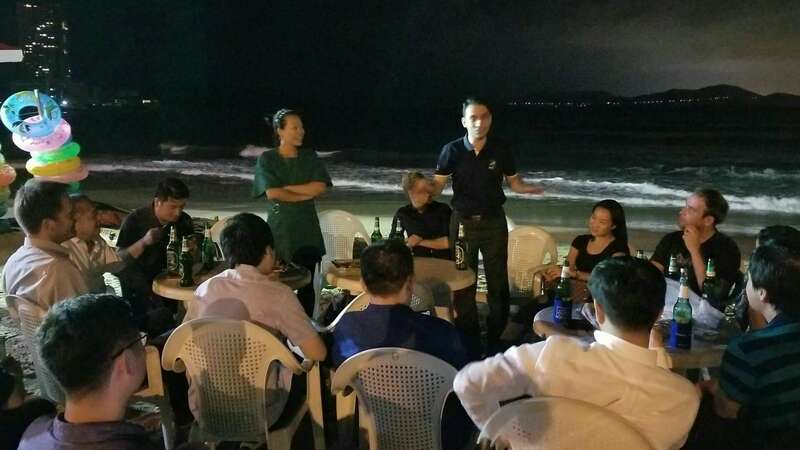 On the evening of the event, the IUIA 3rd Anniversary Beach Night Talk was held at the First Beach near the Huiquan Bay of Qingdao. 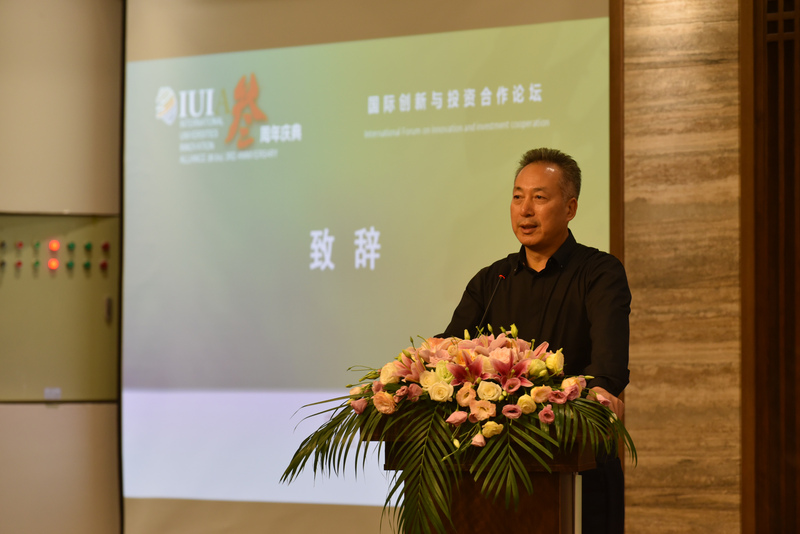 Sun Wansong, Secretary General of the International University Innovation Alliance, said that IUIA has practiced the 12345 strategy and established a platform for global partners, full partnerships and global marketing. With two centers of the IUIA Council of Paris, France, and the IUIA Secretariat of Berkeley, California, and three major schools of Harvard University, Massachusetts Institute of Technology, Berkeley University, Stanford University, Cambridge University and Oxford University, IUIA operates with the four-in-one model of “Cross-border Incubation Platform + Industrial Fund + Industrial Research Institute + Theme Industrial Park”. After five years of hard work, today, operating 100 cross-border incubators and accelerators, running one million square meters of parks and one billion scale funds, it has become a unicorn with a valuation of $1 billion. Global Partners of IUIA spoke highly of its vision and model of development and look forward to deeper collaboration with IUIA in the future. The initial heart is constant and innovation is not limited. 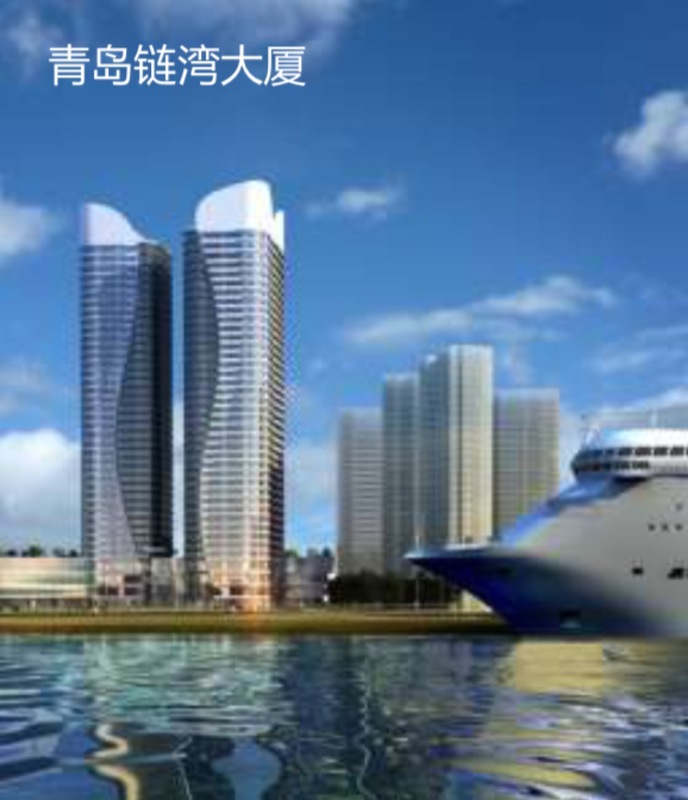 Through three years of exploration and development, IUIA took Qingdao as a pilot and joined hands with local governments and shareholders to create a four-in-one operation model of “Cross-border Incubation Platform + Industry Fund + Industrial Research Institute + Theme Industrial Park” and a well-known “chain bay” model at home and abroad in the field of blockchain. 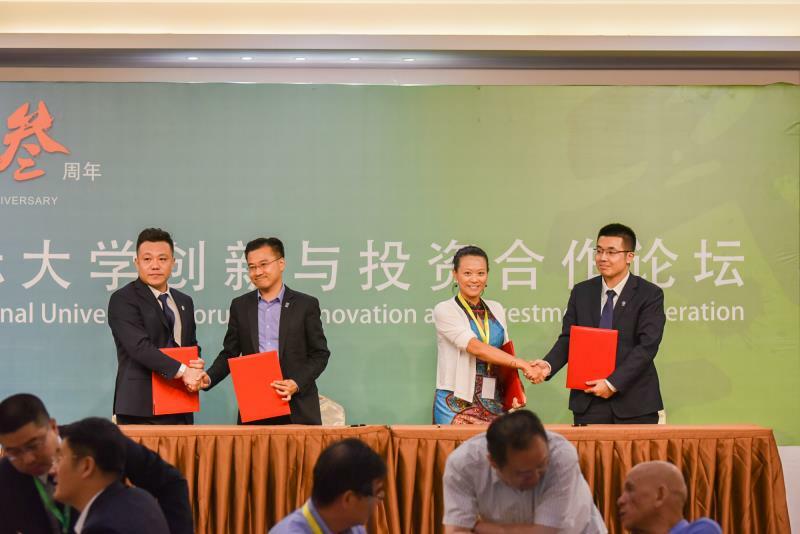 With Xuzhou as the center, a new cross-border incubation model of “Overseas Partners + Entrepreneur Ambassadors + Entrepreneurship Competition + Entrepreneurship Camp” based in the UK, France, Germany and the United States has been established, which has enabled the effective implementation of relevant industry projects and talents. Three begets all things, and all things grow. Three years is a new starting point. 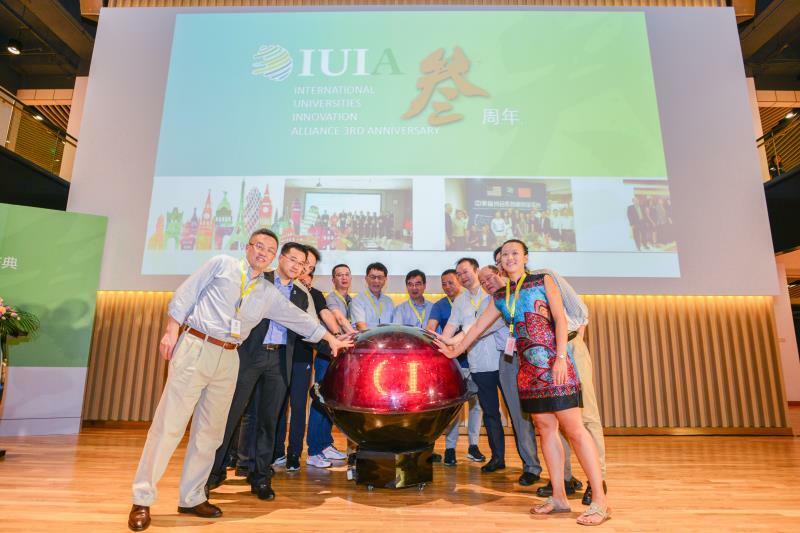 IUIA will continue to promote the development of overseas projects and talents in China and serve local talent introduction and industrial empowerment transformation and upgrading. Based on resource sharing and global partner model, IUIA will build a higher, broader and deeper cooperation and win-win platform for young global innovation entrepreneurs!